Finding a destination that ticks all the right environment-friendly boxes can be daunting. One way is to support a country that has been internationally recognised for its environmental efforts. Latin American countries have dominated Ethical Traveler‘s list of top destinations for some time now and Chile has hit the Top 10 for the past two years thanks to its sustainable fishery, forestry and protection of the rights of indigenous peoples. 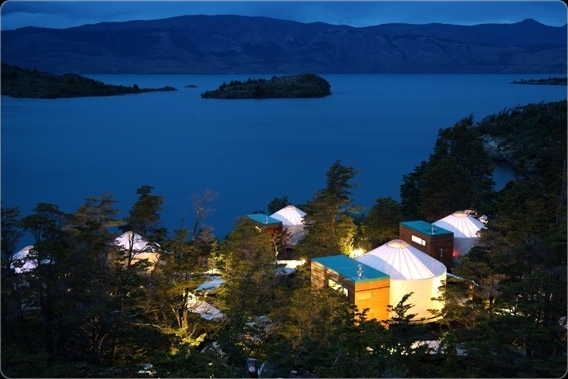 Patagonia Camp is the first of its kind in South America, providing low-impact, low-energy, luxurious accommodation in the Patagonian wilderness. 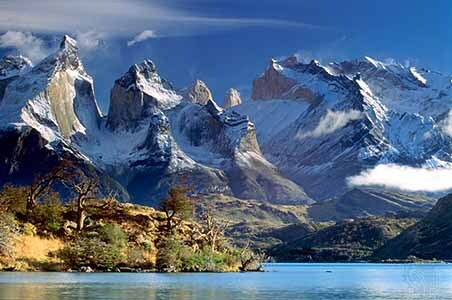 Made of yurts built on stilts, it sits on Lake Toro in the Torres del Paine National Park in southern Chile. Rates at Patagonia Camp (www.patagoniacamp.com; 00 562 334 9255) start at US$1,550 (Dh5,690) per person for a three-day programme in a double yurt including transfers, accommodation, food, daily excursions, entrance to the park and guide. E-mail queries to reservas@patagoniacamp.com. One of the easiest ways to cut your carbon footprint is to reduce the number of flights you take, and for readers in the UAE, that means holidaying somewhere on the Arabian peninsula. 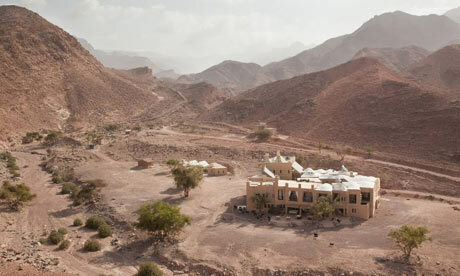 Luckily, some of the world’s best eco-holidays are now available locally, from oryx and wildcat watching in Dubai’s Desert Conservation Reserve to underwater expeditions that allow you to study the coral reefs of the Musandam peninsula in Oman. Biosphere Expeditions is an international non-profit wildlife volunteer organisation, founded in 1999, that runs conservation expeditions for environmental volunteers. 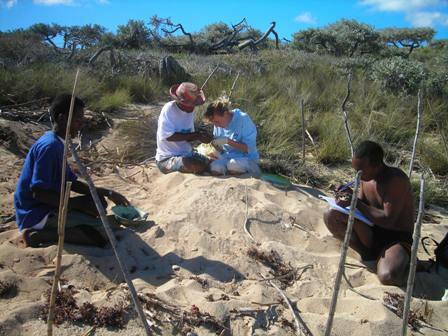 Biosphere ‘voluntourists’ help support serious scientific research by acting as ‘bodies in the field’, helping to collect data, and by providing funding through the money they pay for the priviledge. Rates for a one week expedition start from £950 (Dhs5,550) per person and include food, accommodation, and transfers. The price excludes international flights. One definition of an ethical holiday isto give something meaningful back to the area you visit. Tourism in Ethiopia for Sustainable Future Alternatives (Tesfa) gives communities in the Ethiopian highlands the chance to earn much-needed cash by hosting walkers overnight in their villages. Locally guided groups of four to six people have the opportunity to stay in specially built traditional stone and thatch cottages, and meals are prepared by villagers who’ve been trained to cook western food as well as traditional Ethiopian dishes. The scheme is almost entirely run by the villagers you visit so your nightly fee has immediate benefits: local people decide who gets paid what; how the money is spent; and how much is saved for the community. Fees are approximately US$50 (Dh180) per person, per 24 hours but voluntary extra donations are also welcome. This includes all accommodation, meals and luggage transfer but excludes bottled drinks and transport. Contact Tesfa (www.community-tourism-ethiopia.com) at info@community-tourism-ethiopia.com, copied to: tesfacbt@ethionet.et (00 251 11 122 5024). One problem associated with discovering your very own paradise is the danger of becoming the unwitting cause of consequences that threaten the very people and places you discover and cherish. Andaman Discoveries works along the north Andaman coast with communities affected by the catastrophic 2004 tsunami to use responsible tourism to their long-term advantage. By taking part in a short one- to five-day village home stay, not only will you gain an insight into another way of life but you’ll leave having made a lasting and positive contribution to your host community while helping to maintain the region’s unique sense of place. The focus of your home stay normally depends on your interests, be they nature, cooking, craft, culture or customs, and you’ll be accompanied by an interpreter for the whole of your stay. A two-day village experience for two people organised by Andaman Discoveries (www.andamandiscoveries.com; 00 66 87 917 7165) starts from 5,800 Thai baht (Dh710) per person. Located six kilometres off the coast of Zanzibar, the Chumbe Island Coral Park boasts the best-preserved coral reef on the east African coast and a nature reserve where visitors can see hawksbill turtles, fish eagles and the world’s largest land-living arthropod, the giant coconut crab. There is only one place to stay on this tiny island, the award-winning Chumbe Island Lodge, whose seven “eco-bungalows” collect and preserve rainwater, use solar lighting, recycle grey water for irrigation, and use composting toilets to reduce the resort’s environmental impact. 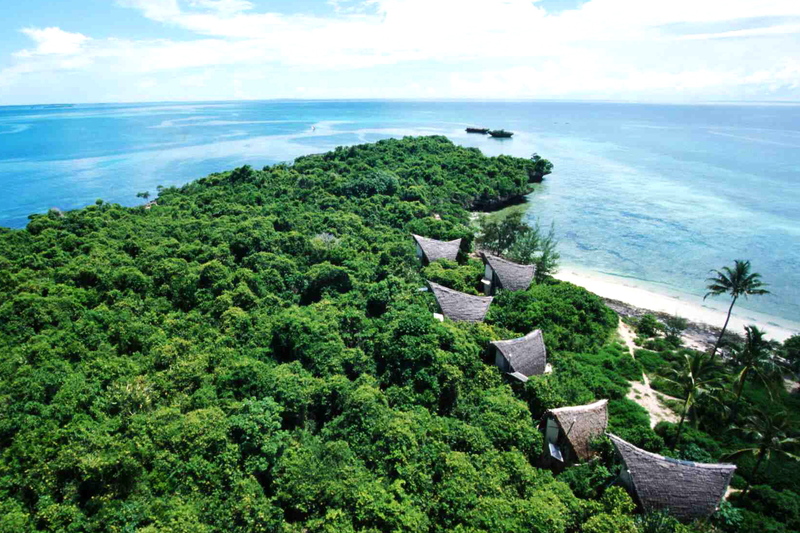 Staffed and managed by people from nearby fishing villages on Zanzibar, the lodge reinvests its profits directly into the island’s education, conservation and research programmes. Among its many other accolades, Chumbe received an Outstanding Environmental Achievement Award from the United Nations Environment Programme in 2000. Accommodation at Chumbe Island Lodge starts from around £168 (Dh1,000) per person, per night, based on two people sharing and includes all meals. Contact Rainbow Tours for more details (www.rainbowtours.co.uk; 00 44 20 7226 1004). If the words winter activity holiday and sustainability don’t sit together too comfortably, the good people of Werfenweng in the heart of Austria’s Tennengebirge mountain range are doing their best to change that. Werfenweg uses a system called “soft mobility” to claw back carbon kilos by providing participating visitors with free access to environmentally friendly travel options that include electric bikes, E-scooters and Segways in summer and taxis, buses and biofuel cars (at 10 cents/km) in winter. For those staying at the luxury Wood Ridge chalets there is the added benefit of knowing that your hosts recycle and compost, use renewable wood pellets for your central heating and plant native flora to support local wildlife in the warm season. 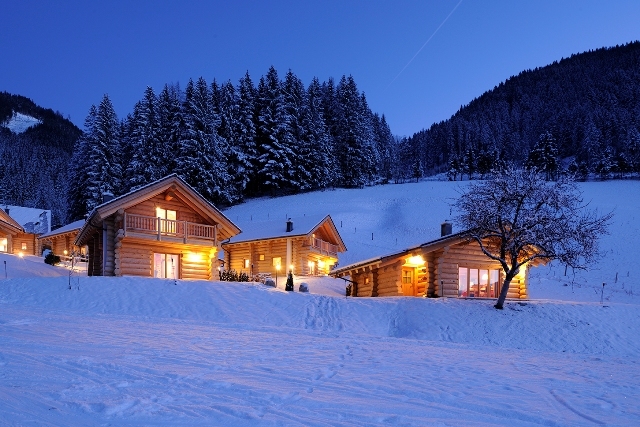 Winter rates at Wood Ridge Luxury Chalets (www.woodridge.at; 00 43 664 55 70 737) start from €240 (Dh1,270) for a two- to four-person chalet, per night. This excludes a compulsory final cleaning fee of at least €40 (Dh210). The minimum stay is two nights. 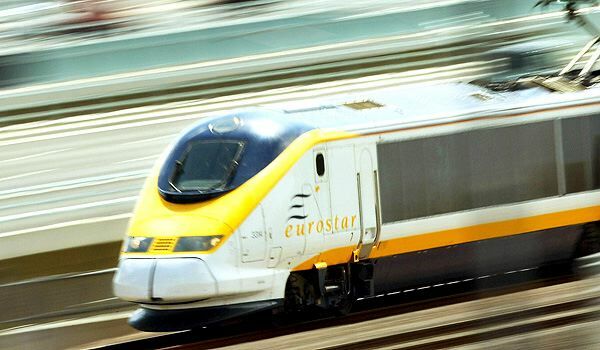 Trains are a far more environmentally friendly form of transport than flying, causing up to 90 per cent fewer carbon emissions, and in Europe, where there’s been something of a railway renaissance of late, short distances, geographical diversity and excellent high-speed rail networks mean there’s never been a better time to hop aboard. Unfortunately, the gap between the ease of train travel and organising your own trip, independent of an operator, is often considerable unless you know where to start. The Man in Seat 61 (www.seat61.com), a website dedicated to demystifying train travel between the UK and almost any country in Europe and far beyond, is a great place to begin your research. If you do not intend to begin your tour of Europe in London, it contains detailed advice on classic rail journeys such as the Silk Route and central Asia by train, as well as links to national train websites across the continent to enable you to find out ticket prices and timetables. Input a destination and seat61.com details the best routes, times and fares, and suggests the most efficient way to buy tickets. It even covers luggage arrangements, how to travel with bikes and how to change trains in Paris using the Métro. The 440km Lebanon Mountain Trail (LMT) is a wonderfully simple idea. The first long-distance hiking trail in the Middle East, the LMT was established in 2007, the brainchild of Lebanese-American Joseph Karam. Inspired by the national trail network in the US, Karam aimed to create a route that’s also a means of protecting the environment and bringing sustainable benefits from tourism to impoverished Lebanese mountain villages. Karam hopes to achieve sustainable economic development along the trail by encouraging hikers to use local guides, stay in family-run guest houses, hotels, monasteries, and campsites; as well as eating local food and buying locally made handicrafts. Karam hopes that once people appreciate the economic value of the trail, they’ll make the effort to conserve the habitats and communities along it. So just do as the website says: “Support the LMT”. Find out more about hiking the LMT at www.lebanontrail.org (00 961 5 955 302; e-mail lmta@lebanontrail.org). If you also want to make a difference while having a unique experience then volunteering might be the answer. Blue Ventures is a marine research and conservation organisation that runs volunteer projects in Malaysia, Belize and Madagascar that provide coastal communities with the knowledge and skills they need to live in harmony with their marine environments. Madagascar is the fourth-largest island in the world and a “biodiversity hotspot”. 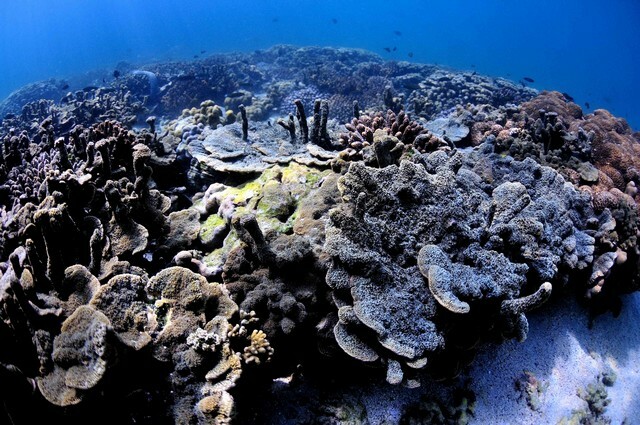 Eighty per cent of its plant and animal species are unique to the island as a consequence of its 80-million-year isolation, and in the tropical seas off the island’s south-west coast lies the fourth-largest coral reef in the world. Blue Ventures volunteers are working here to help create the largest community-run protected area in the western Indian Ocean. Trips start at £700 (Dh4,200) for three weeks, land only, and increase commensurately with your experience, skills and involvement. For more information, visit Blue Ventures at www.blueventures.org, or call, 00 44 207 359 1287. 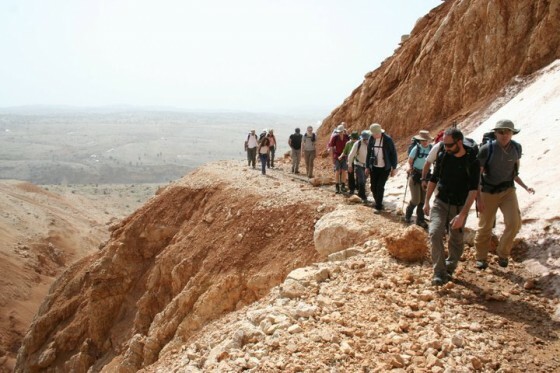 Developed by Jordan’s Royal Society for the Conservation of Nature, an NGO dedicated to the conservation of Jordan’s natural resources and creating sources of income for local people that don’t conflict with their traditional Bedouin way of life, the Feynan Eco Lodge is one of three bases for hikers exploring the 320 square kilometres of the Dana Biosphere Reserve. Constructed entirely from local materials, the lodge’s 26 rooms are solar-powered by day and candle-lit at night. The menu is local, vegetarian and alcohol-free and water is drawn from a nearby well. Activities include bird and animal watching, hiking and canyoning with local guides, mountain biking, climbing and exploring the reserve’s many archaeological sites. One night at the Feynan Eco Lodge (www.feynan.com; 00 962 6 464 5580) including breakfast and entrance to the Dana Biosphere Reserve (www.rscn.org.jo) costs from 82 Jordanian dinars (Dh425) for a twin room, including taxes. Transfers, other meals and activities are extra. 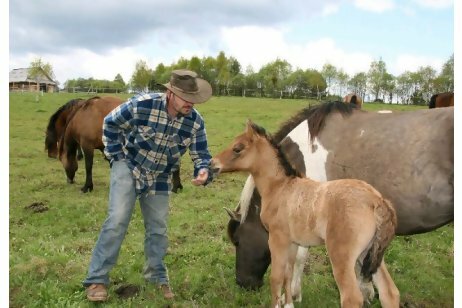 A visit to the Eco-Frontiers Ranch is a unique opportunity to share in the personal vision of its owners, and a lifestyle that has been dedicated to living in harmony with nature. Completely off-grid, set in 60 hectares of land in the Bieszczady Mountains in the far south-eastern part of Poland, the ranch is surrounded by 40 hectares of certified organic farmland, woodland, wildflower meadows and wetlands that support wild orchids and beaver. It generates all of its own electricity, manages its own waste and rainwater and is also a test bed for sustainable construction techniques. 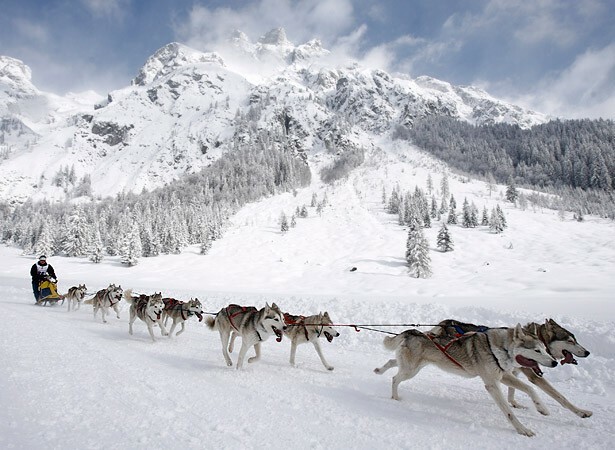 Visitors can hike, ride indigenous Carpathian Hutsul horses, take part in guided wildlife tracking and learn how to make traditional food and furniture; downhill and cross-country skiing are also available in winter. Accommodation is limited to 15 guests at any one time staying in one of two traditional, wood-built homes. The kitchen is open to visitors and there is a “great room” where guests can relax and share their experiences at the end of each day. All food is vegetarian and the ingredients are locally sourced or grown organically on site. A double room costs from 160 zloty (Dh214) per person, per night, including taxes and breakfast. Additional meals cost from 45 zloty (Dh60) per person. To book, contact www.ecofrontiers.net (00 48 694025875). Previous article Architecture: Le Corbusier’s Unité d’Habitation – liner, hotel, hostel or worse?